Configuration: 4 cards per pack. 24 packs per box. 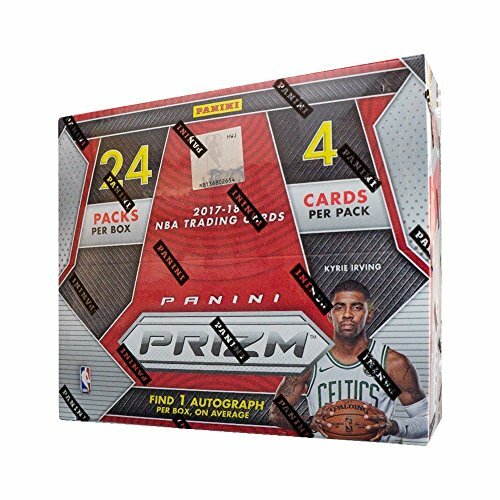 Find exclusive sequentially numbered Prizm parallels and unique content in every SKU! Every SKU of Prizm basketball has the chance to pull autographs of veterans, rookies, and legends! Look for new inserts Fundamentals and Get Hyped! All SKUs contain Green Prizms that can only be found at mass retail. Each box delivers 1 autograph and 12 Prizms on average! Look for exclusive Pink Pulsar Prizms #'d to 42! If you have any questions about this product by Panini Prizm, contact us by completing and submitting the form below. If you are looking for a specif part number, please include it with your message.